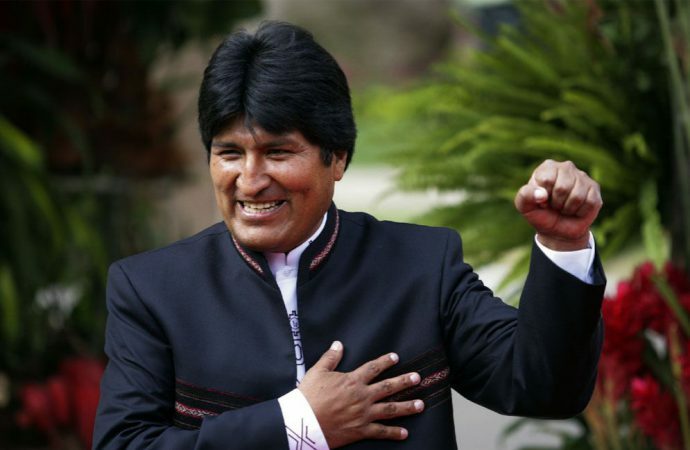 Bolivia’s president: the last leftist standing? 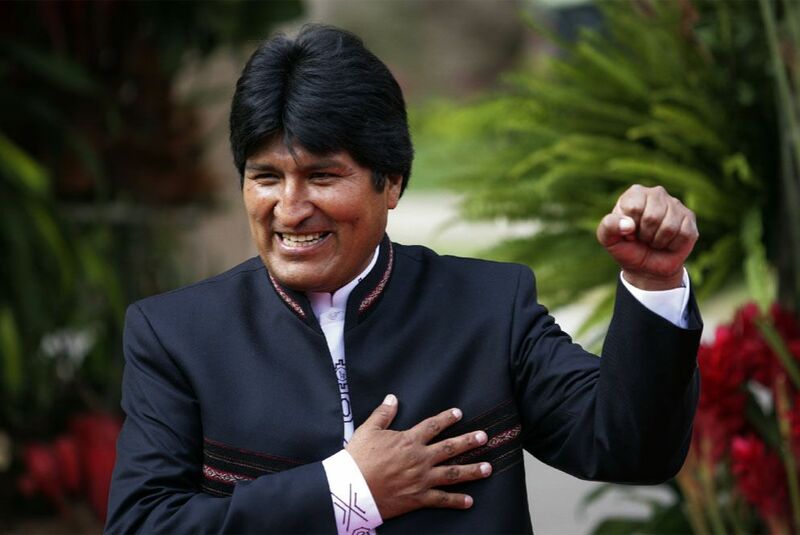 In mid-December, Bolivian President Evo Morales was unanimously endorsed by his Movement for Socialism (MAS) party to run for a fourth term in 2019. However, having already served two consecutive stints in the top job, Bolivia’s constitution prohibits Morales from seeking a third and his efforts to alter this provision via a referendum in February 2016 failed by 2 per cent. Morales’ attempt to extend his rule comes at a time of great uncertainty for the brand of leftist populists he represents – who once seemed to represent the future of the region. 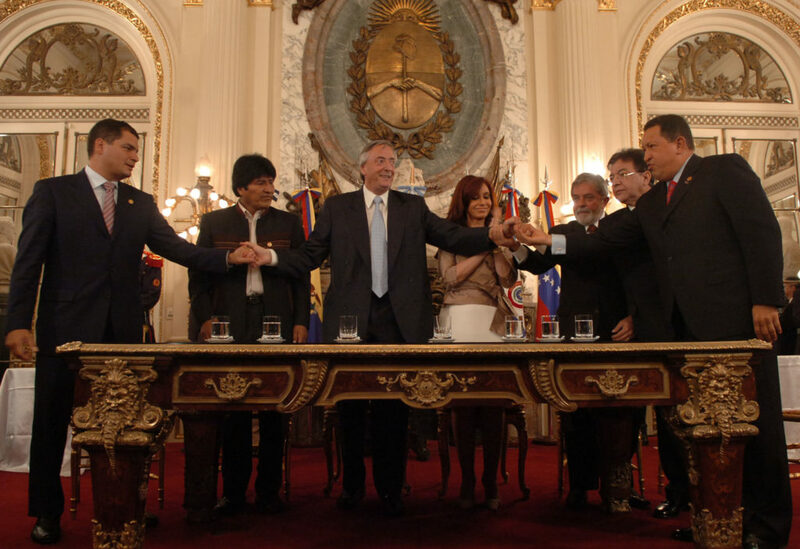 Together with Venezuela, Ecuador and Nicaragua, Bolivia was part of the ‘Bolivarian Revolution’, a loose and mostly rhetorical grouping that strongly opposed economic neoliberalism and the interference of the US in Latin American politics. As leftist leaders are removed from office, Venezuela’s economy disintegrates and ties between the US and Cuba warm, the populist left is experiencing significantly less regional solidarity than it did at the turn of the century. Yet Morales is still standing, in part because his popularity does not rely only on transnational anti-American rhetoric. The core bloc of Morales support comes from the rural and principally indigenous populations of Bolivia, of which Morales is a part. Given this support base, MAS policy has focused on regional empowerment. His major opposition comes from the country’s cities. In a recent interview about February’s defeated referendum, Morales suggested its failure was due to opposition from urban elites, where high turnout and rumours of nepotism cost him critical votes. When he assumed office in 2006, Morales represented a ‘clean’ political class in Bolivia. He has long appeared immune to charges of personal corruption in a country that has always been rife with graft. However, in the lead up to the February referendum, the president was embroiled in a scandal over the employment of an ex-lover with Chinese firm CAMC, an engineering company with hundreds of millions of dollars worth of contracts with the Bolivian government. This scandal reinforced the opposition’s claims that the ruling party lacked integrity and contributed to the failure of February’s constitutional referendum. Some MAS supporters even voted against the amendment, believing the term limits to be a critical check on the abuse of presidential power. This latter point reflects the major concern for Morales; even among his core constituency, his appeal is fading. While Morales gained a good deal of political capital as the country’s first indigenous president, there have been complaints that he has given preference to his own ethnic group, the Aymara, over other groups in Bolivia. If this perception cannot be overturned, the president will face a very rocky road to the 2019 election. Due to some unusual constitutional interpretations, it is likely that Morales will run for another term. The 2009 constitution stipulated that Bolivian presidents may only govern for a maximum of two terms, yet Morales is currently in his third. This was caused by a change to Bolivia’s constitution during his first term, which led the judiciary to rule that it was ‘incomplete’, allowing him to run for another term. Due to this precedent, it is likely that Morales will resign prematurely, thus rendering his third term ‘incomplete’. Theoretically, this would free him to run again in 2019. Another option is for the MAS to amend the presidential term limits via the legislature without requiring a referendum, although such a vote would require support from two-thirds of lawmakers in both the upper and lower house. Until now, Morales has cemented his popularity with sweeping changes to the country and its constitution, which have snowballed into larger margins of victory and more radical reforms. 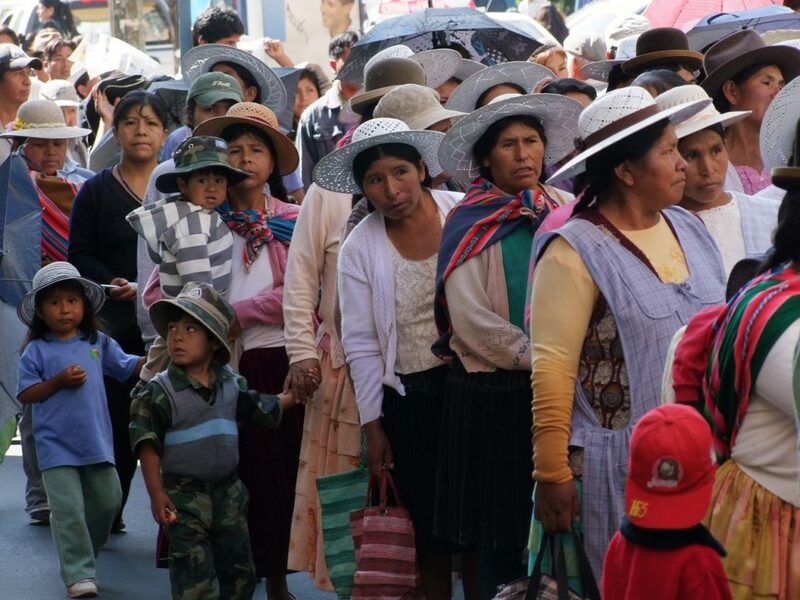 The latest developments in Bolivia suggest this populist tactic may no longer be feasible. Previously, changes made off the back of large electoral successes have been designed to make it easier for MAS politicians to get elected. For example, the 2009 constitution changed electoral laws from a mixed proportional representation system to a first past the post system, significantly reducing the presence of minor parties that represented divergent interests. Curiously, the 2009 constitution instigated by Morales introduced the two-term limits for presidents and vice presidents. That the MAS initiated a referendum to remove this clause suggests the party has been unable to find a suitable replacement for their presidential candidate – at least, not one that will carry the same esteem as Morales. Morales’ worries are comparatively light compared with some of the other leftist leaders in Latin America. Daniel Ortega in Nicaragua recently won a third term amidst widespread complaints of voter fraud. Rafael Correa in Ecuador will not run in the next presidential elections. Dilma Rousseff of the Brazilian Workers Party was impeached in August last year. Meanwhile, Venezuelan President Nicholas Maduro is battling massive protests, hyperinflation and a hostile legislature. Morales, for his part, is likely to secure another term in power, most likely with a smaller margin than he has previously enjoyed. This slimmer margin is likely to make him and his party more conservative and will prompt the MAS to consider how it can continue its success after Morales – a political reality it will have to confront sooner or later.